In this article we will setup and configure the basic firewall using firewalld on Linux systems (RPM Family “Redhat 7/CentOS 7 /Scientific Linux 7”). We will cover how to set up a firewall for your server and show you the basics of managing the firewall. We will enable and start firewalld service and allow services and ports and configure zones. We will use firewall-cmd command to configure and manage firewalld, we will not use firewall-config “the firewalld GUI configuration tool in this article”. 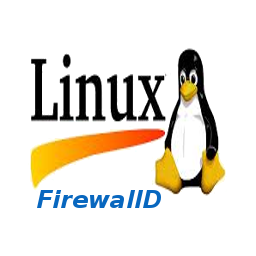 FirewallD is the default firewall on RPM Family of Linux systems release 7 “Redhat 7/CentOS 7 /Scientific Linux 7”. It is a direct replacement for iptables and works also with the kernel’s netfilter code. If you want to use iptables instead, you can go and check our article “Setup and Configure Basic iptables on CentOS 7 Linux system“. It contains all what you need to migrate to iptables instead of firewalld. Aug 25 11:33:46 localhost.localdomain systemd: Started firewalld - dynamic firewall daemon. As you see from the above output, the firewalld is enabled and started by default on all different types of CentOS 7/ Red Hat 7 installation. I’m going to disable the firewalld service. Enabling the service would cause the firewall to start up at boot. We should wait until we have created our firewall rules and had an opportunity to test them before configuring this behavior. This can help us avoid being locked out of the machine if something goes wrong. Again, do not run this step now, once you finish all your configuration enable the firewalld. I only included this command here the article structure. FirewallD operates using the concept of zones where a zone defined the level of trust used for a connection. You can split different network interfaces into different zones in order to apply specific firewall rules per interface or you can use one zone for all interfaces. Out of the box, firewalld ships with 9 zones and everything is done on the default public zone, but there are several other pre-configured zones that can be applied too. This information will be reflected in the main configuration file, /etc/firewalld/firewalld.conf. 1. changing zones is a permanent change "will persist against restart the firewalld service. 2. Don't manually modify /etc/firewalld/firewalld.conf file and instead use firewall-cmd. As you see from the above output, all interfaces “by default” assigned to the public zone. And because I’m using a laptop you see three interfaces assigned to public zone. From the above output, now internal zone is active because it has an interface assigned to it. Once you have assigned and configured your required zones, you can start adding services to zones. Services describe the protocols and ports that can be accessed for a zone. In this article we have explained the setup and configuration steps for managing firewalld on RPM family of Linux systems. We first checked the installation of firewalled on CentOS 7, then we started configuring the main three parts of the firewalld firewall “Zones, Services, and ports”. We included different options with each part with examples.